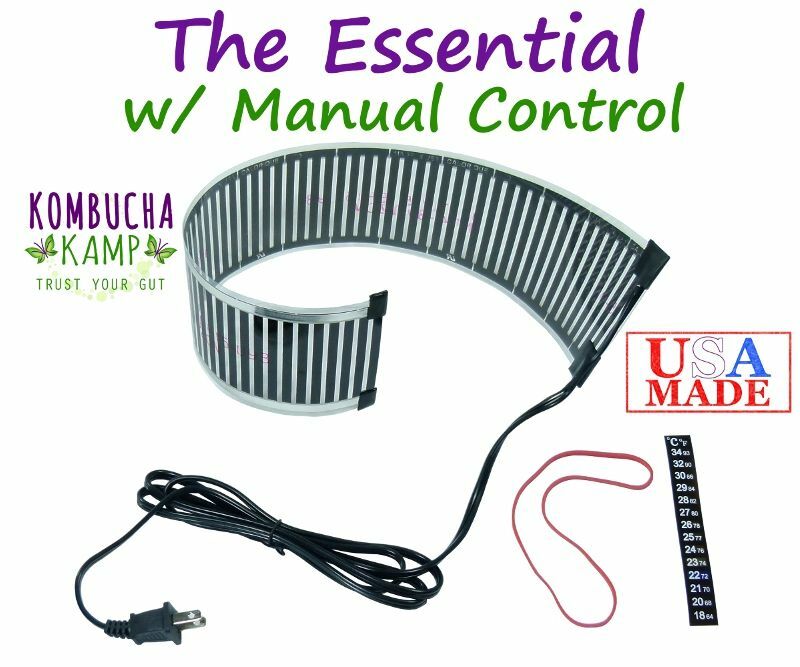 The Kombucha Mamma Continuous Brewing Deluxe System w/ Toasted Oak Barrel delivers the highest quality brewing essentials, set-up & maintenance videos plus a complete guide and Kombucha Mamma support to make the process a breeze! The Toasted Oak Barrel is not only lovely to behold but also provides the Kombucha bacteria and yeast a unique home - the culture literally grows right into the sides of the barrel! The oak imparts a depth of flavor and mellowness that is not reproducible in other vessels. It will delight all who sample! 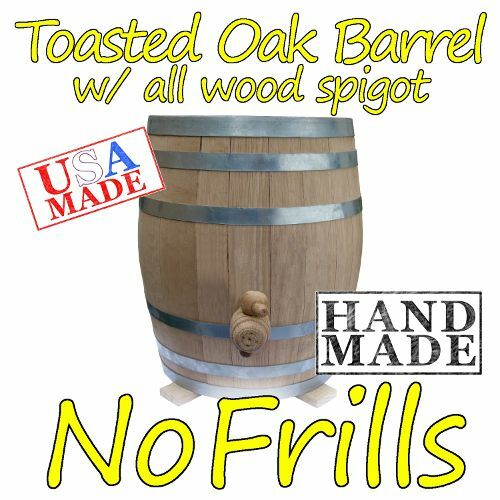 These barrels feature a 100% wood spigot that is placed high enough to permit easy dispensing while helping to prevent over draining. 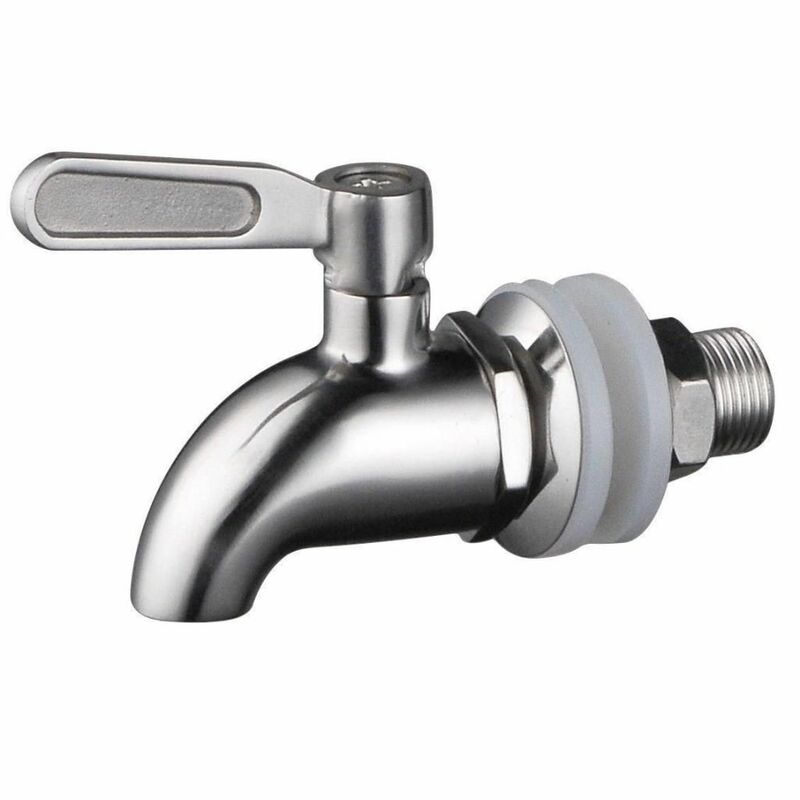 Or opt for the Stainless Steel spigot upgrade, which provides style and increased flow at decanting time (highly recommended and safe with Kombucha or any ferment!). 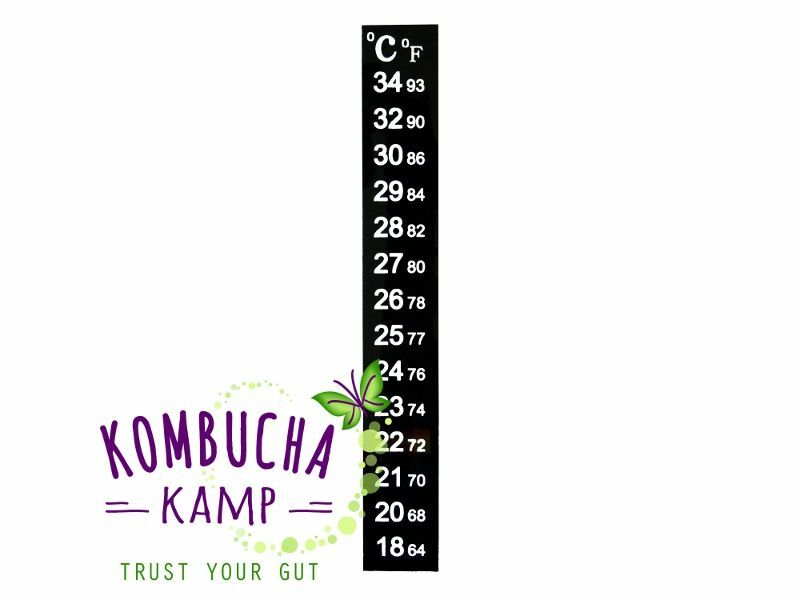 The chemical and epoxy free construction and all natural materials will not leach any toxins into your Kombucha so you can brew with confidence. Continuous Brewing Kombucha is easy and fun but can feel intimidating. 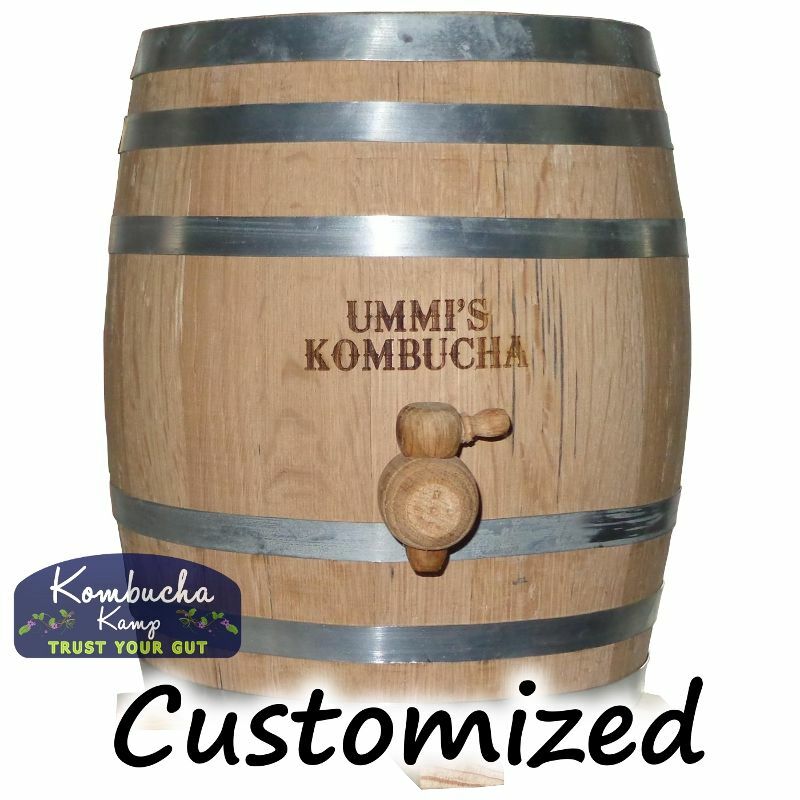 This system takes the guesswork out of the CB process, offers the most choice and the best discounts on Kombucha Kamp’s custom made brewing upgrades. 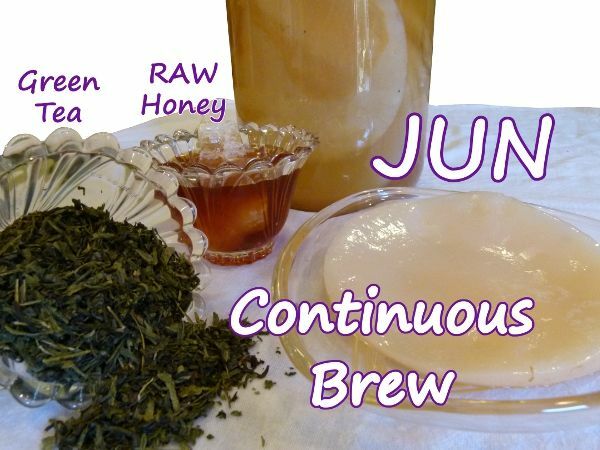 To choose JUN Tea for your Continuous Brew package, use the first drop down menu option above and change from Kombucha to JUN Tea. 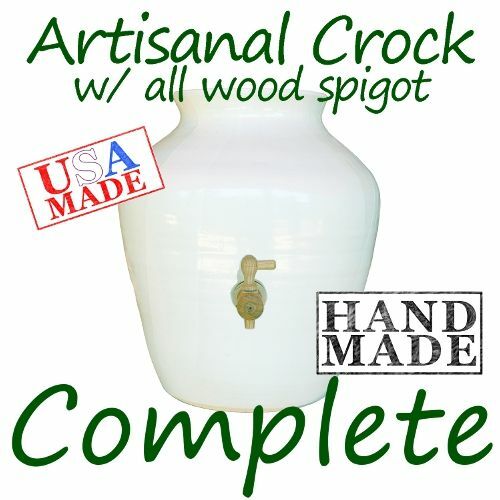 Both size barrels have a medium char and include a wooden spigot and spigot brush to facilitate clearing away any clogs. They are available without engraving or with "KOMBUCHA" inscribed on the front. Customize the inscription for only $5 more! i.e. "Rob's Brew" "Crumbucha", "Sally's Kombucha", etc. 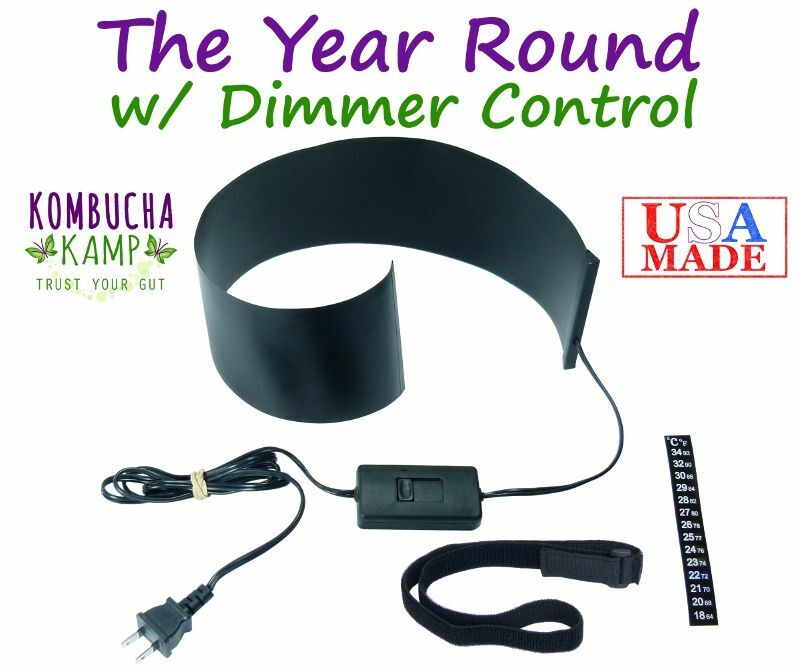 In order to properly heat the larger 5 gallon barrels or any large vessel, we have created new versions of The Year Round Heating System with Dimmer and Ferment Friend Heater with Thermostat, both with a larger heating surface capable of producing 2.5 times the power of our regular heaters. Dubbed the new PRO Line, these 7"x27" heat mats are identical to the original models but with the increased surface area makes it suitable for 5 gallon vessels, multiple smaller vessels, or for use on a regular 2.5 gallon vessel in very cold conditions. 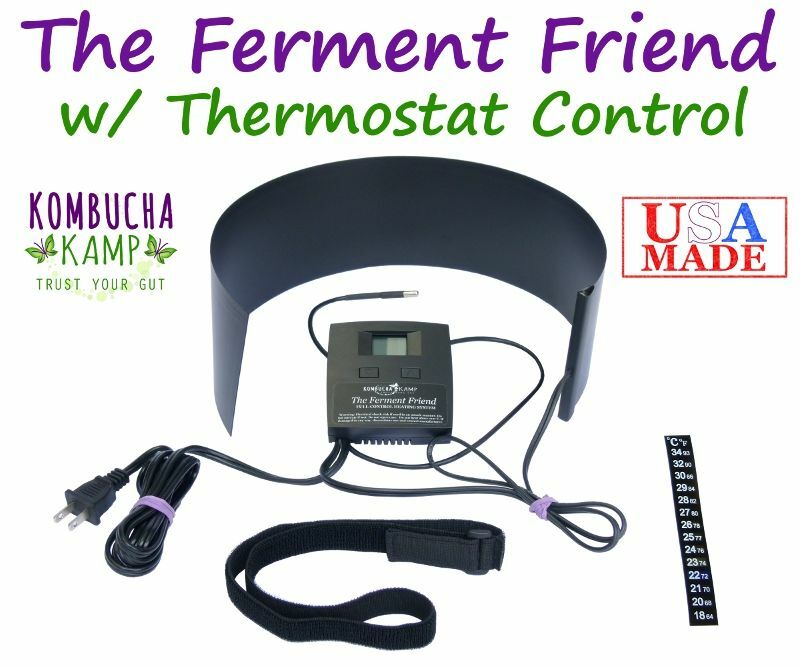 Ferment Friend w/Thermostat (KKAMP EXCLUSIVE!) - $150 Value - SAVE HUGE $50 OFF! - Just $99!! 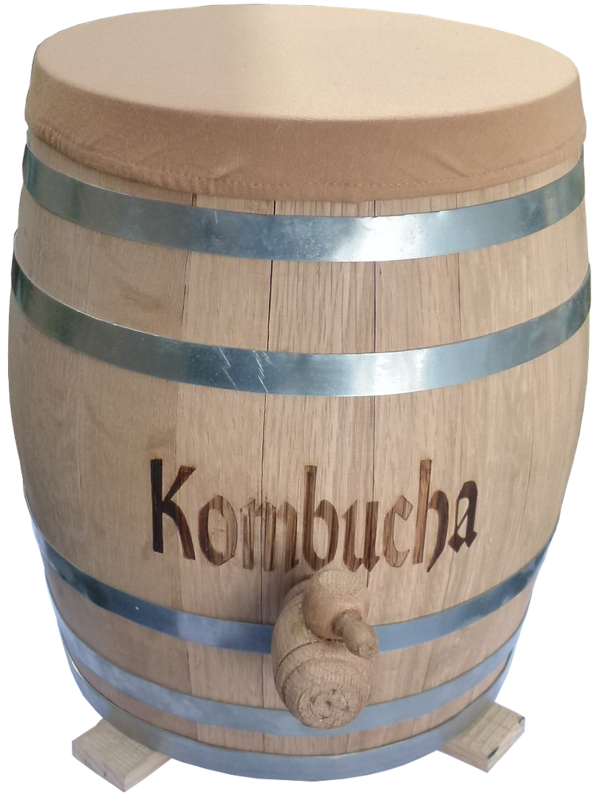 I bought the oak barrel last year and want you to know how much happiness it has brought us... All the family is drinking Kombucha, the barrel is super easy to use and looks nice in the kitchen. My husband's health is much improved because of the Kombucha, mine too. I'm very pleased with my purchase. I ordered the continuous brewing vessel. I'm already on my fourth brew, is easy to use and delivers great results. Customer service rocks. I love Kombucha Kamp! 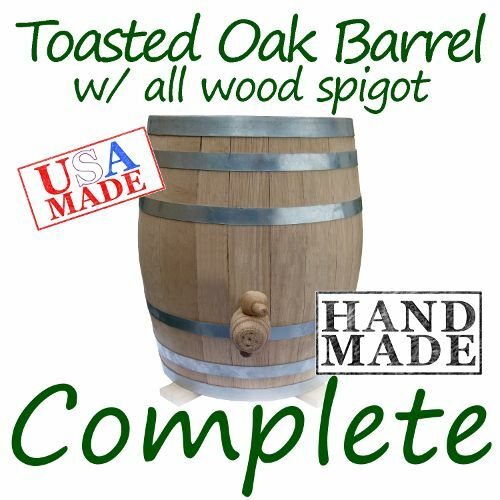 I am very happy with the 5 gallon oak barrel and VERY glad that I made the leap for the 5 gallon vs. the 2.5 gallon - it would never have supplied enough for our household! I love the oak smell and the unique taste. 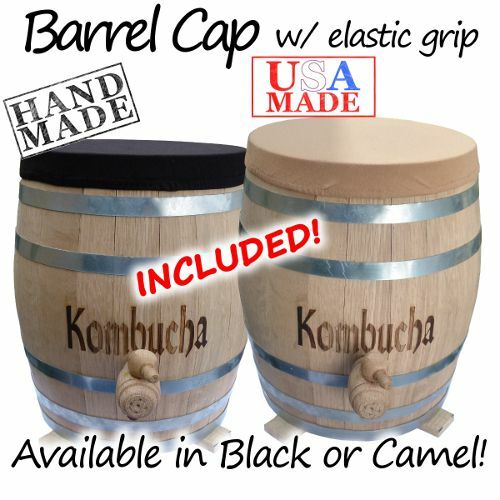 The barrel cap is great - fits well and easy to use. This was a major splurge- but an investment toward "my treat" and health for the rest of my life!!!! My family drinks 1 pint of Kombucha per day. To say the least, the cost can really add up. I have tried brewing KT in the past with fair results. I wanted a better system. Kombucha Kamp was the answer! The customer service is incredible. The instructions are fantastic. The ONLY issue I had was a missing bag of sugar. I contact customer service and they quickly rectified the issue. Couldn't be easier or more friendly! The brew has been chugging along for 5 weeks and is fantastic. All I have to do now is drain off a few gallons and add some fresh tea. Could not have been easier. I just wish I would have purchased the Ferment Friend Heater sooner. It really made everything super easy to keep the temp correct. Thanks Hanna and Team! I got my first scoby from my Dad in January,2015, after tasting his brew which he got a month earlier from his 94 year old sister-in-law. She of course attributes her health to drinking a little tea every morning for the last several years. The continuous brew is a good idea from my perspective since my wife likes it too. I would side with the pro in this case and go with her favorite brewer which I will let the reader explore on their own. 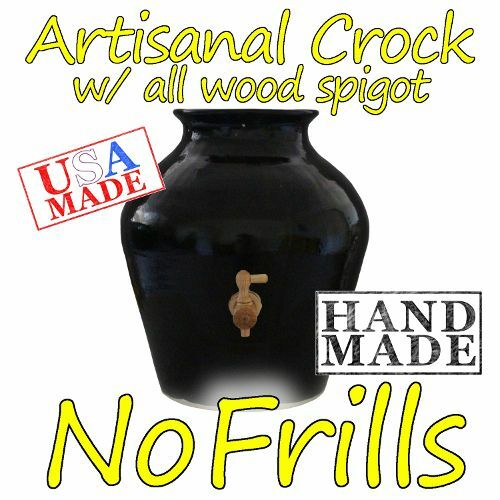 Being a woodworker for 35 years I was a little disappointed when I saw the quality of the 'stand' for the barrel and the workmanship on the spigot, which I would call rough- which is a notch under beginner quality. The barrel itself performed as advertised, which I was pleased with. We have been sampling the first batch from 6 days on and bottled 114 oz. in various glass containers after 14 days. Remember- we live in a frozen swamp. My personal flavor preference at this point is water from my wifes purifier fermented in a glass fish bowl using cheap metoo tea and white cane sugar. 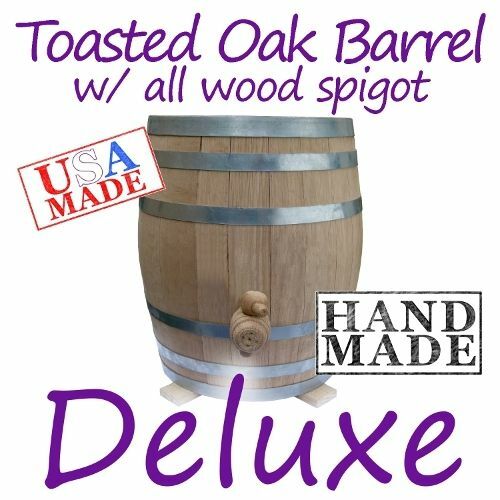 Maybe I have eaten to much oak sawdust over the years and perhaps the barrel will mellow- the oak flavor is personally a little overbearing for me and my wife just says oh! and kinds of spins around in a circle when she has some. We will always have some kind of tea brewing here- now that we have been introduced to kombucha. I had 2 batches in gallon jars that got cloudy and had a scoby that looked like it got hit by a nuclear bomb which I followed the pro's recommendation to use as hair and skin tonic. This worked well for weeping scalp spots and winter itchy skin. I also used it when making my super duper cureya smoothies and it worked well. All around good advice from KombuchaKamp- thanks everybody! Drawing off 144oz. into glass containers definitely changed the flavor to a more robust kombucha flavor - very acceptable to my sawdust injured palate. I also added chia seed to 16 oz from the same batch and got chia super fizz-quite appealing! After refilling the barrel and tasting it the next day I got a very pleasant surprise- solid kombucha flavor with a mellow oak odor. Thanks for being patient. Newbie to Kombucha making here, but in my usual go all out style, I wanted to do it RIGHT, make it EASY, and have it look GOOD. So what else could I do but get the gorgeous oak barrel? I cured it according to the enclosed directions brewed my first batch of tea, put it in there.along with more filtered water and the two BEAUTIFUL scobys that came with my order. Oh and I used Hannah's special blend of tea. Even though my kitchen is usually around 68-70 in the winter, I had a very tasty brew by the end of two weeks, and a new scoby forming all across the top of the brew. When I called with a couple questions, Hannah returned my call immediately and answered them to my satisfaction. Even though my first batch fermented well at a reading of 68 degrees, I wanted to protect my investment and went ahead an ordered the continuous heating strip, which works great at keeping my brew at a consistent 77-78 temp. Love all the support on the site and via phone. Thank you! I bought the wooden barrel kit. The flavor the the Kombucha is much better in the wooden barrel. I loved watching all the included videos and followed the simple instructions. I feel so empowered and mentored by Hannah. The tea which came in the kit was delicious. I am still experimenting, but have not been able to make a tea as yummy as Hannah's. My whole family loves the Kombucha from the barrel. We love drinking it right out of the spigot. We also make enough to bottle some for our secondary fermentation. Hannah has great customer service and is very helpful wil my questions. 9. Wellness is growing in our family! 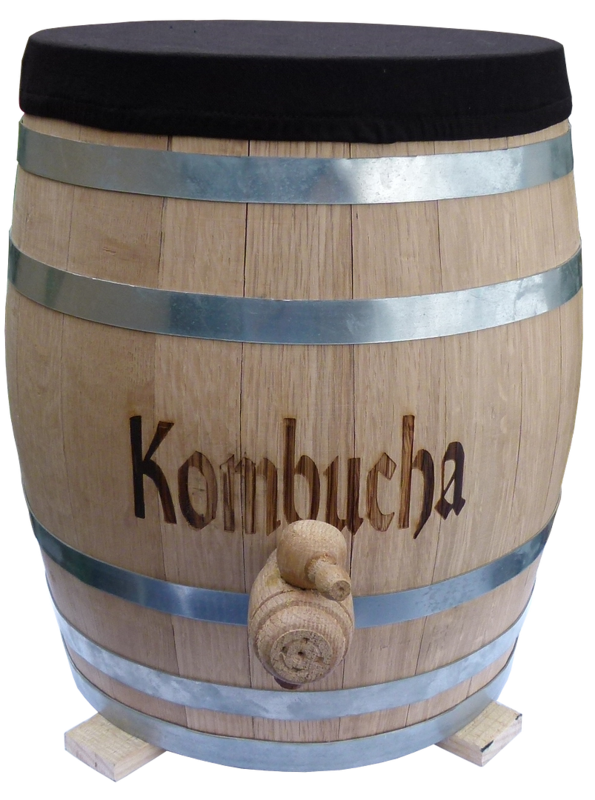 We love the oak barrel and the kombucha we are making is fantastic. Shipping was quick. Thanks so much. 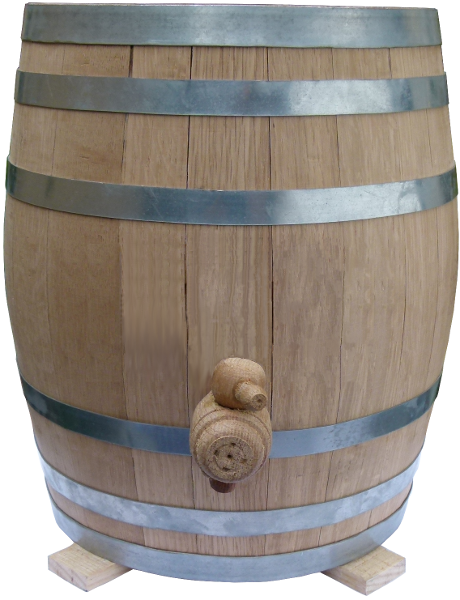 The oak barrel is well made and visually appealing (the wood spigot requires some force to open/close but everything is well-made so I don't foresee anything breaking). The no-frills package had everything I needed to get started, except for the heat strip which I recommend to keep the temp of your brew consistent. Making kombucha has been easy. 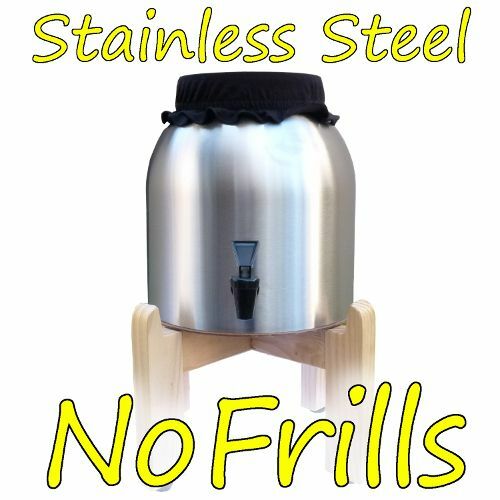 With the oak barrel, heat strip, and materials included with the no-frills package, I had everything I needed to get started and I've been happily brewing ever since. Overall, I highly recommend the oak barrel and this company. Thank you Kombucha Kamp! Brand new, y'all, kombucha convert here! Still a little shaky on process, but having all of Hannah's instructions, plus the kommunity of dedicated brewers dispensing wisdom has really helped me look good, almost like I know what I'm doing! So many people are asking me about it, that I could probably go into business if I had a notion, but why reinvent the wheel when Hannah and the gang do a superlative job. I am considering a bumper sticker, "Kombuchakamp Spoken Here," for all the times I have referred someone to this website. It's my personal choice for BYOB, and when they ask me what I'm drinking, I say, "It's alive!" Then I tell them where to DIY, right here on this website. 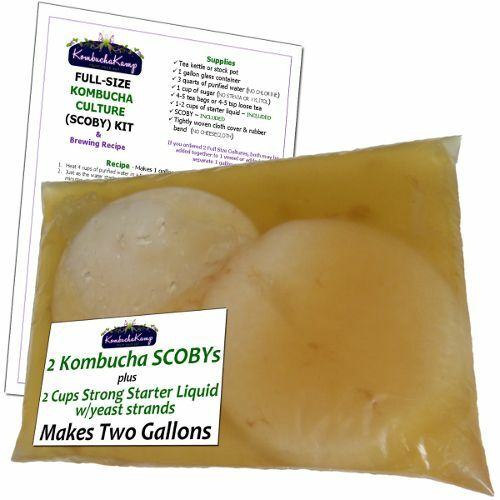 So, review-wise, here goes: Scobys arrived, perfect, looking like slick round disk-shaped bars of soap swimming in their double-bagged high-test juiced-up starter fluid, and Hannah's special tea blend smelled so good I thought I would hyperventilate when I opened the pack for a peek. 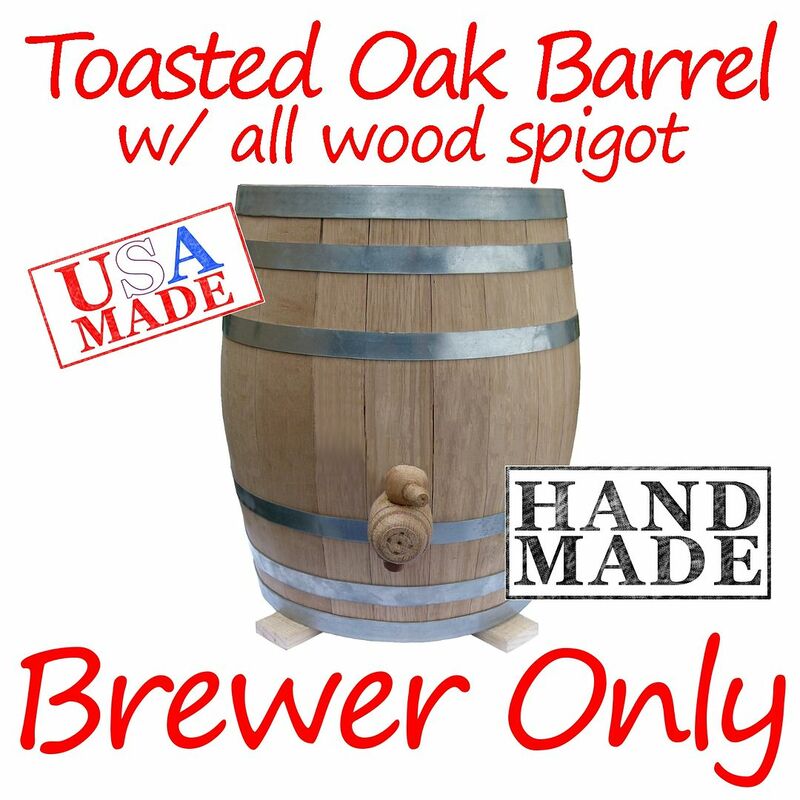 I also ordered the tan cloth cap to cover the top of my cute oak barrel, there's a little brush for cleaning, and some other goodies, so after tapping the spigot in, I cured it by soaking 3 days with filtered water and distilled vinegar, per instructions. Then the fun began--Used raw organic sugar and some spring water to get the first brew started, making the tea with the muslin teabags Hannah sent, let it cool down, and put the tea and the Scobys in their new home. Then, I waited, and waited, and almost bought one last bottle of the store-bought stuff, but put it down, and it was worth the wait! I drank some and bottled some with ginger. Bottled some more with a bit of pumpkin, whole cloves, cinnamon stick, and heavy on the ginger slices. Customer service was so good, that I am still raving about them. My first barrel was damaged, and I was just asking questions about it hoping to salvage it, but they weren't wasting any time on that, and just sent me another one, really fast. Oh, Hannah even called me personally! These people truly care about their products, and want you to succeed. Knowing myself, I knew continuous brew was the only way to go. 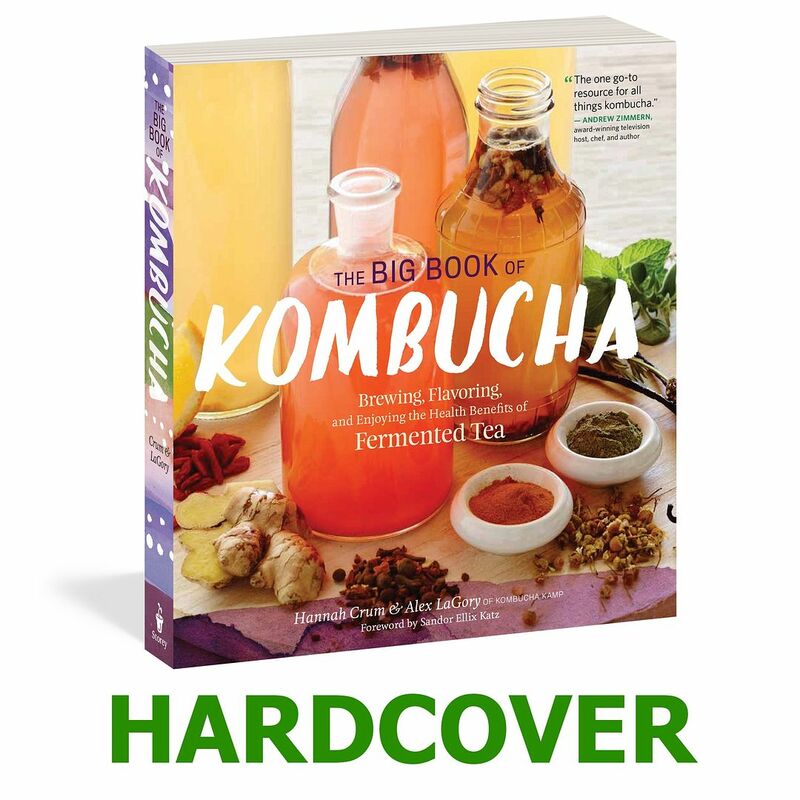 I want it as easy as possible, with kombucha on demand. The barrel is beautiful, and I have to confess, I don't live in Maggie Valley yet, but I will in a few months, which is another reason I wanted the barrel. Soon my oak barrel will be in a new oak log home. (Right now I am in Winnsboro, SC.) So with my first glass of kombucha, I drank a toast to my own health, and said a heartfelt thank you for Hannah and the rest. Now I drink it, and use the last few drops in the cup to rub on my skin. If I could, I would absolutely bathe in this stuff. I am thinking of using it with coconut oil as a treatment for psoriasis. It has helped significantly with stiffness and pain of psoriatic arthritis. Also, my energy level is better. I don't leap over tall buildings yet, but any day now....I accidentally conditioned my hair with it, while learning a valuable lesson on carbonation. Word to the wise--Read ALL instructions. If you need to know it, it is in there, believe me. 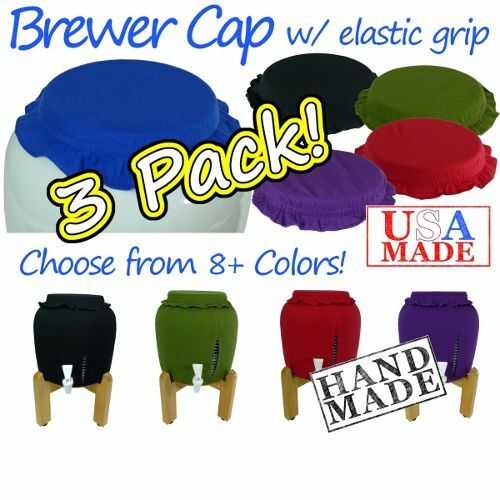 If you are thinking of doing the brew, go all the way and buy one of these kits. Put it on your Christmas list! I figure mine will have paid for itself before long, compared to the prices at the store. 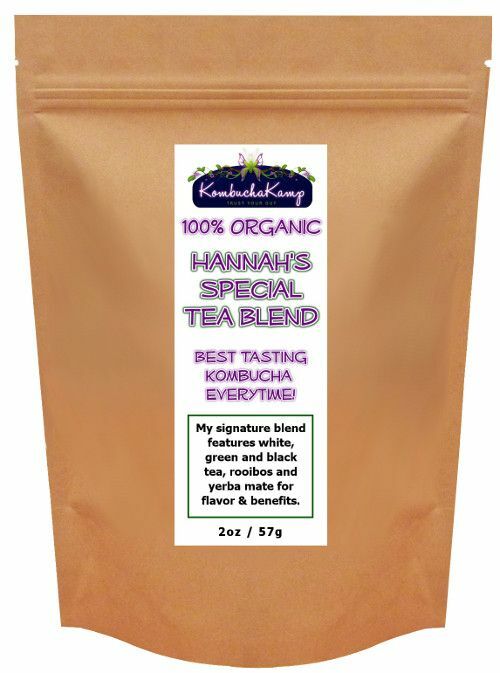 Thank you, Hannah, and all the kombucha family!